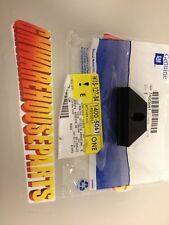 Optima REDTOP 34/78 Battery 8004-003 Look Save !! Part Number: PC545. The ODYSSEY battery can handle it. Reserve Capacity Minutes: 18. 20Hr Nominal Capacity (Ah): 13. Part Number: PC925. ODYSSEY batteries have been designed to keep up with the changes. Reserve Capacity Minutes: 52. 20Hr Nominal Capacity (Ah): 28. 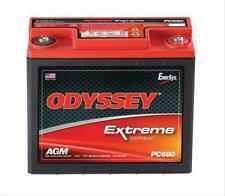 ODYSSEY Powersport Battery. The ODYSSEY battery can handle it. Tired of your weak batteries in your ATV?. This is the solution! First was starting, i don't believe my atv started so quick when it was new! Doing that is against U.S. and international laws. our error. We are not an authorized dealer of this product and any warranty included with the product may not be honored by the manufacturer. BCI Group Number: 49. Type: AGM Automotive. Battery Specifications. Weight: 58.6 LBS / 26.6 kgms. This Stinger 12-Volt SPP Series Dry Cell Battery features a sealed absorbed glass mat (AGM) design and is perfect for a 2400 watts car audio sound systems. SPP1200 Dry Cell Battery. When this powerful battery is properly installed and maintained, it will give you years of service. This Stinger 12-Volt SPP Series Dry Cell Battery features a sealed absorbed glass mat (AGM) design and is perfect for 800 watt car audio sound systems. SPP680 Dry Cell Battery. When this powerful battery is properly installed and maintained, it will give you years of service. 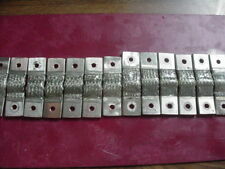 Part Number: PC545MJ. The ODYSSEY battery can handle it. Reserve Capacity Minutes: 18. 20Hr Nominal Capacity (Ah): 13. 2005-2014 FORD MUSTANG. 2007-2010 FORD MUSTANG SHELBY GT500. 2008-2011 FORD FOCUS. Trending at $86.94eBay determines this price through a machine learned model of the product's sale prices within the last 90 days. Trending at $28.11eBay determines this price through a machine learned model of the product's sale prices within the last 90 days. All NorthStar batteries are compliant with Battery Council International standards, UL approved and UN2800 certified. Factory Fresh Northstar AGM 31. 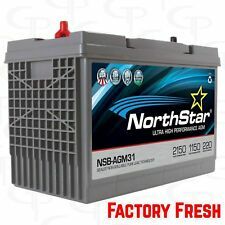 Northstar Battery: The proven most powerful AGM batteries on the planet. Battery Size Power Specifics Furthermore, your privacy is important to us, and we know that you care about how information about your order is used and shared. 9:00AM - 3:00PM CST. Mon. - Fri. 9:00AM - 6:00PM CST. Part Number: PC535. The ODYSSEY battery can handle it. Reserve Capacity Minutes: 21. 20Hr Nominal Capacity (Ah): 14. Battery Hold Down Bracket Clamp, made from the highest quality materials. Model PC925L. Doing that is against U.S. and international laws. our error. We are not an authorized dealer of this product and any warranty included with the product may not be honored by the manufacturer. Reconditioned Optima REDTOP 34/78 Battery 8004-003 Look Save !!. Condition is Used. Shipped with FedEx Ground or FedEx Home Delivery. 5 out of 5 stars - Optima REDTOP 34/78 Battery 8004-003 Look Save !! 77 product ratings77 product ratings - Optima REDTOP 34/78 Battery 8004-003 Look Save !! Trending at $110.75eBay determines this price through a machine learned model of the product's sale prices within the last 90 days. Buick, Cadillac, Chevrolet, GMC, Pontiac. Designed specifically to lock battery in place and hold down your vehicles battery. See application chart below or in product. 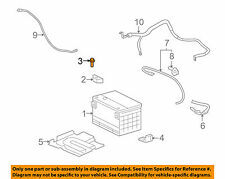 GM Vehicles Battery Hold Down Mounting Wedge & Bolt Chevy GMC Buick Cadillac. Battery Hold Down Kit. 2010 - 2014 Honda Crosstour 6 Cylinder Engine. 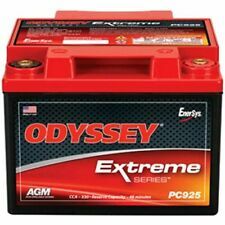 Odyssey Batteries PC680 12-Volt AGM Battery, 7.27 x 3.11 x 6.67"
5 out of 5 stars - Odyssey Batteries PC680 12-Volt AGM Battery, 7.27 x 3.11 x 6.67"
10 product ratings10 product ratings - Odyssey Batteries PC680 12-Volt AGM Battery, 7.27 x 3.11 x 6.67"
All NorthStar batteries are compliant with Battery Council International standards, UL approved and UN2800 certified. Factory Fresh Northstar AGM 65. Weight24.9 kg. Length299 mm. Width186 mm. Height188 mm. 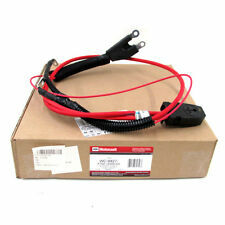 Optima 8016-103 D34M BLUETOP Marine Boat Deep-Cycle Starting. Rebuild your own Toyota Prius HV Battery, Camry HV Battery or Altiam HV Battery. These batteries can be used to replace bad batteries in a 04 - 09 Prius HV battery, or they can be used to rebuild your 01 -03 Prius HV Battery. 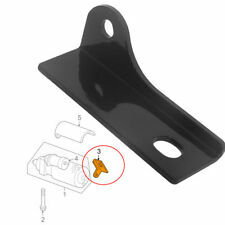 1 Heavy Duty Starter Mount Bracket (mounting hardware not included). For many 6.2L and 6.5L Chevy/GMC Vehicles (fits gear reduction starters only). Proudly made in the USA at our state-of-the-art battery plants. Exceptions do apply. 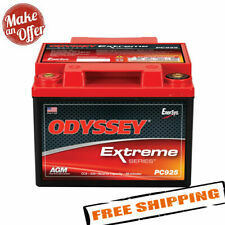 Reserve Capacity CA @ 32° F CCA @ 0° F.
ODYSSEY batteries have been designed to keep up with the changes. Reserve Capacity Minutes: 135. 20Hr Nominal Capacity (Ah): 68. CF-Racing uses top quality raw materials for all 100% Carbon Fiber products. In order to produce an elite product CF-Racing manufactures using advanced Autoclave and vacuum bagging technologies and processes. LIMITLESS LITHIUM. Up to 3,000w at 12v with 100a of available charging. Every application is different and performance may vary due to impedance, amplifier efficiency, alternator power, etc. 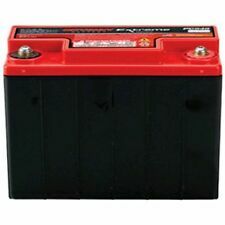 A good car or truck battery is essential to the safe operation of a vehicle. Batteries ensure that your car can run in the cold, can run accessories while the car is turned off, and can reliably start in all weather conditions. Batteries are relatively easy to replace in cars, usually requiring unscrewing just a few bolts in an accessible location. The car battery serves to provide power to the car when the engine is not running. Because of this, your vehicle depends entirely on its battery to start, since the engine is not running before the car is started. Batteries provides enough power in amps to the starter to allow the car to crank. The colder the weather outside, the more amps are needed to crank the ignition. Good batteries are essential to being able to start a vehicle in freezing temperatures. Once the car is running, the car battery charges with power generated by the alternator. Difficulty starting - If your vehicle has more difficulty than normal when starting, your car battery may not be holding a charge and it may be time for a new car battery. Your ignition should not have to cycle more than normal to generate enough power to start. Visual corrosion - If you pop your hood and see a significant amount of corrosion around the battery, it may be leaking. Leaking batteries need to be replaced and may be replaceable under warranty. Go to an auto parts store for a free test - Most auto parts stores will provide free testing of batteries to ensure they are cranking the optimal number of amps. A trip to the auto parts store for a free test can also let you know if you can replace your battery under warranty. What is the average life of a car battery? A typical car battery should last between two and six years, depending on several factors. If the car is frequently started in very cold conditions, this places more strain on the battery and may wear it out sooner. Battery life also depends on how often the vehicle is run with the engine turned off - the best way to extend battery life is to keep the battery charged as long as possible. Car batteries typically come with a warranty for a set number of miles.